Despite the cliché to the contrary, perception is not always the reality. Consider, for example, the Canadian Association of Tour Operators (CATO). 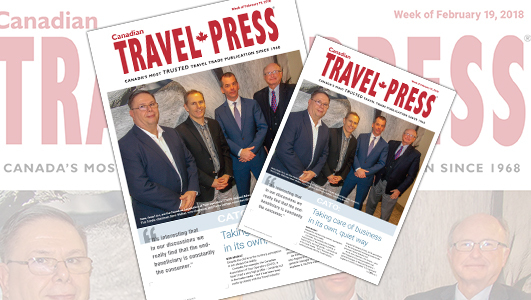 It hasn’t had a very high profile – certainly not in the trade media – but it has been busy working closely with the Travel Industry Council of Ontario (TICO), ACTA and others on the changes that are being made to the province’s travel industry act, reports Bob Mowat in this week’s digital edition of Canadian Travel Press. And he while he agrees that CATO may well have been quiet from a media perspective, that doesn’t mean it hasn’t been busy as it has spent the past two years working on the travel industry act – work that included consultations with the Ontario government and gathering feedback and input from all its members on the proposed changes.